Your bathroom is where your every day begins and after a long day, it’s the place you can wind down and relax. You shouldn’t have to live with one that isn’t beautiful, relaxing, or meeting your family’s needs. 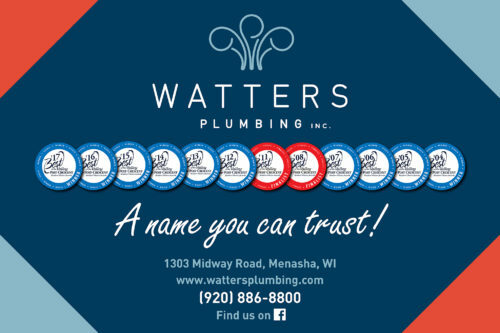 For nearly 40 years, Watters Plumbing has been helping people throughout Northeast Wisconsin, turn their bathroom into something special. A professionally remodeled bathroom will provide you years of pleasure and comfort, and increase the overall value of your home. If you’re in Appleton, Menasha, Green Bay, or the surrounding areas, let us design a bathroom that you and your family will love to use every day. Bath Planet of the Fox Cities & Green Bay has been providing plumbing services to the Fox Cities in Northeast Wisconsin (Appleton, Menasha, Neenah, Kaukauna, Kimberly, Little Chute, Combined Locks) since 1960. Over the years their services have grown from plumbing, sump pumps and water heaters to include bath room remodeling, electrical work, solar hot water, home entertainment systems, and home theaters. Their service area has expanded to include much of Northeast Wisconsin, including; Green Bay, Lawrence, DePere, Omro, Oshkosh, Fond du Lac and all the surrounding areas. But one thing has never changed, their commitment to their clients. At Bath Planet of the Fox Cities & Green Bay, they take service seriously! They’ve built a professional, well-trained organization that comprises several divisions – Showroom, Design Consulting, Plumbing, Electrical and Carpentry. They believe to succeed in addressing your new construction, remodeling or repair project, they must have the best solution at the best price possible. To do so, they’ve built a responsive team that coordinates all project tasks from inventory to labor, providing the most efficient use of time and your hard earned dollars! That is why they’ve built a multi-talented team that can work with you from design through completion of all facets of your project. Their expertise began in the plumbing industry, quickly encompassing carpentry and electrical to further benefit you! Phil the plumber did a great job with all my sinks and faucets! Phil, the plumber who came to our house, was great. He explained exactly what he was going to do, did it very professionally, and cleaned up when he was done. I would highly recommend Watters Plumbing, especially Phil, for all your plumbing needs. Watters Plumbing absolutely knocked it out of the park for us. Brian, Ryan, and Todd all worked on our basement bathroom remodel, along with updating our (very) old water heater to a state-of-the-art tankless, and rerouting the main water waste line. Everyone was courteous, punctual, communicative, and exhibited excellent workmanship. 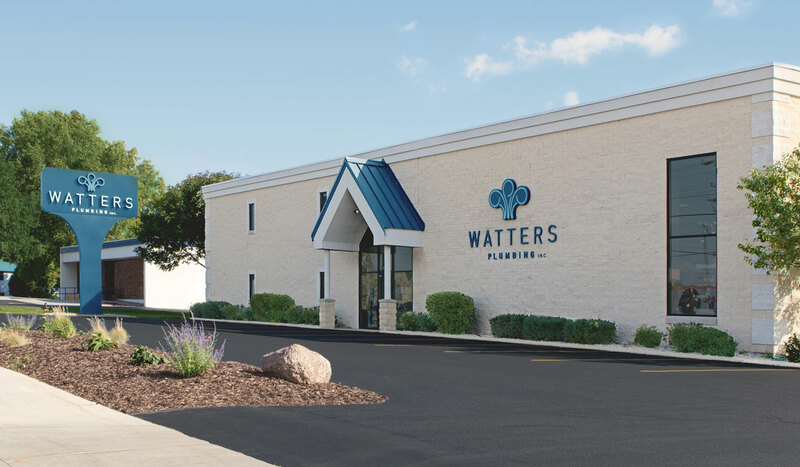 We will not only use Watters in the future, but we will recommend them to all who ask. Thanks Watters! Watters Plumbing was Phenomenal!!!! Starting with Remodeling Coordinator Sami Schmidt and Mike Leatherman helping us plan and answering all our questions for our new Bathroom remodel. We gutted and replaced everything in upstairs bathroom and added a shower and new flooring in the downstairs bathroom. Brian and Jared (Carpenters) were exceptional. They asked questions and explained everything so the remodel was done to best of there ability. Both went above and beyond expectations. Paul the election also above and beyond with exceptional service. Brad (Plumber) did a wonderful job. Also giving very good advice and making sure everything was done right. I can’t thank the Staff of Watters Plumbing enough!!! Appreciate the great job you did. I would DEFINITELY recommend Watters Plumbing for there services. I highly recommend Walters Plumbing. Our plumber (Phil) was very professional and knowledgeable. I appreciated how he explained everything that he was doing in terms that were easy to understand. I will definitely use their services again if needed in the future!